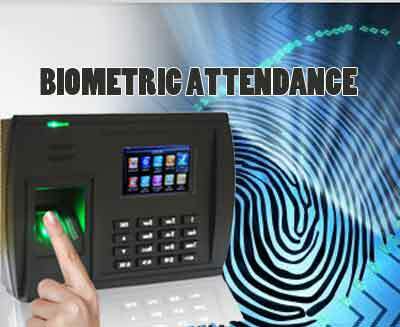 Jaipur: To tackle the growing issue of irregular attendance of medical practitioners and other healthcare staff working with the government hospitals in the state, the government of Rajasthan is soon going to make biometric attendance system compulsory in all government hospitals falling under the health directorate. Confirming the news to TOI, Health minister Kalicharan Saraf said that from February 15,2017 , doctors and other healthcare staff, including nurses and lab technicians, will have to mark their attendance through biometric attendance system. This has been mandated for all healthcare facilities including district hospitals sub-district hospitals, satellite hospitals, CHCs as well as PHCs in the state. State health officials have been asked to make the timely arrangement of the attendance machines. Respective hospital officials have been directed to arrange the machines using the funds from the Rajasthan medical relief society. Each machine is reported to be costing Rs 2000. Should be made mandatory for all hospitals/medical colleges for doctors and students. Would make for better health care delivery.